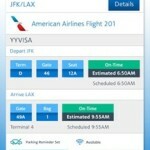 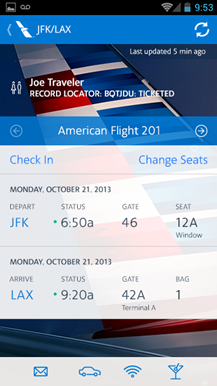 Introducing the travel app that understands who you are and where you’re going. 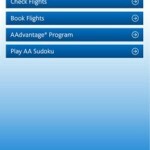 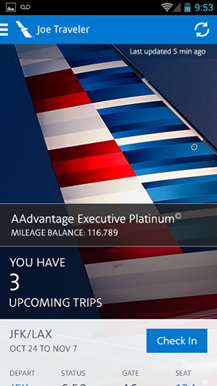 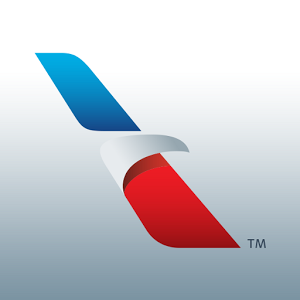 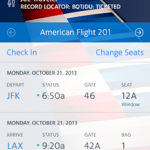 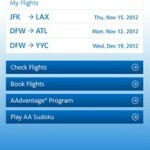 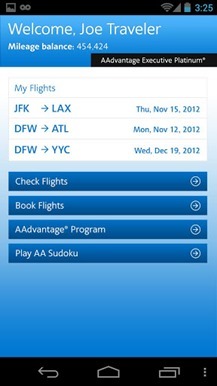 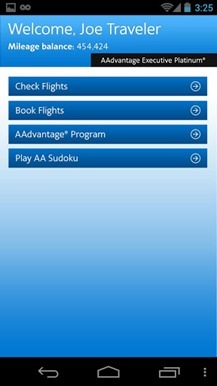 With the American Airlines app, you can view personal flight details such as your gate, seat and flight status info at a glance. 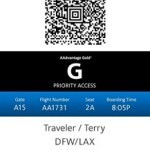 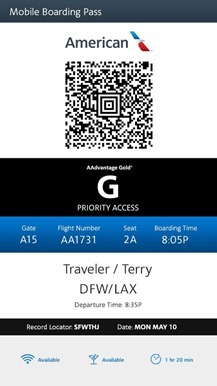 You can access your Mobile Boarding Pass – the app saves it for you so it’s always easy to find. 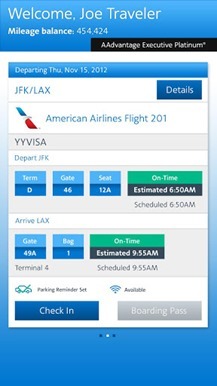 You can also monitor your place on the standby list, track your elite status progress, play Sudoku, set parking reminders, and much more. 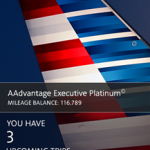 Simply swipe and tap your way through your personalized American Airlines travel information with the app that’s perfect for flying through airports.